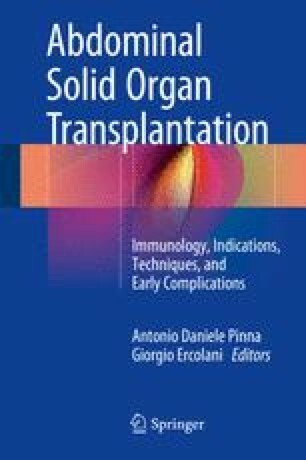 Solid organ transplantation is the treatment of choice for selected patients with end-stage organ insufficiency. Currently, the survival of patients after kidney and liver transplantation exceeds respectively 80 and 70% after 5 years, associated in the majority of cases with a good quality of life. While in the early postoperative period the main causes of morbidity and mortality are related to the primary organ dysfunction, surgical complications or postoperative infection, in the long term they are mainly related to the emergence of disorders linked to immunosuppressive therapy side effects or to primary disease recurrence. Monitoring immunosuppressive drug blood levels is a key point in the management of patients after solid organ transplantation in order to minimize the potential adverse effects. However, careful management of potentially modifiable risk factors such as metabolic syndrome, cardiovascular diseases and renal insufficiency may improve long-term survival.